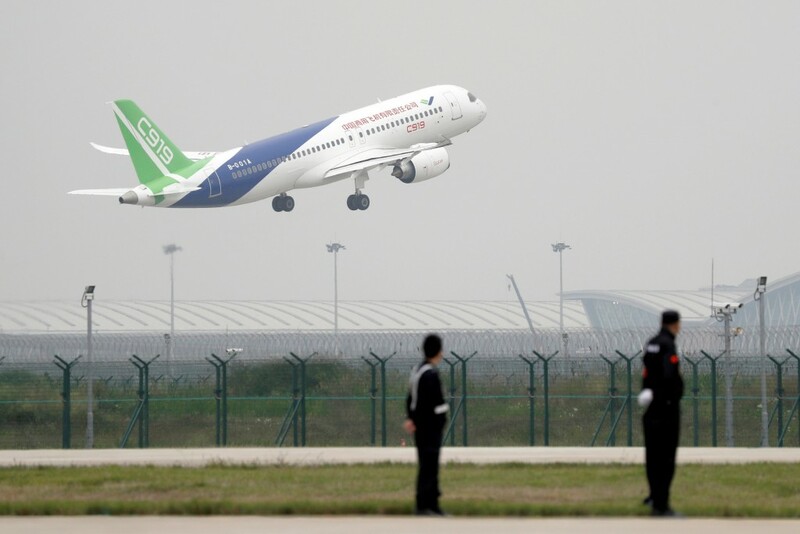 SHANGHAI (Reuters) – China’s home-grown C919 passenger jet completed its long-delayed maiden flight on Friday, a major first step for Beijing as it looks to raise its profile in the global aviation market and boost high-tech manufacturing at home. 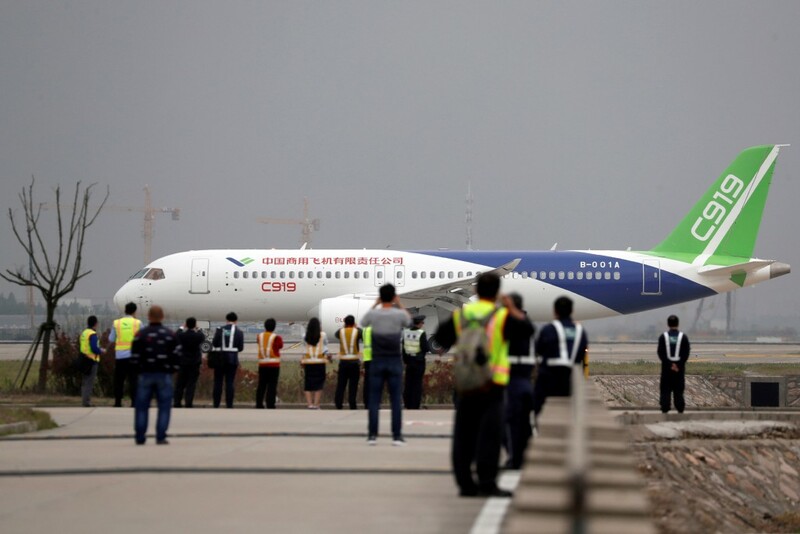 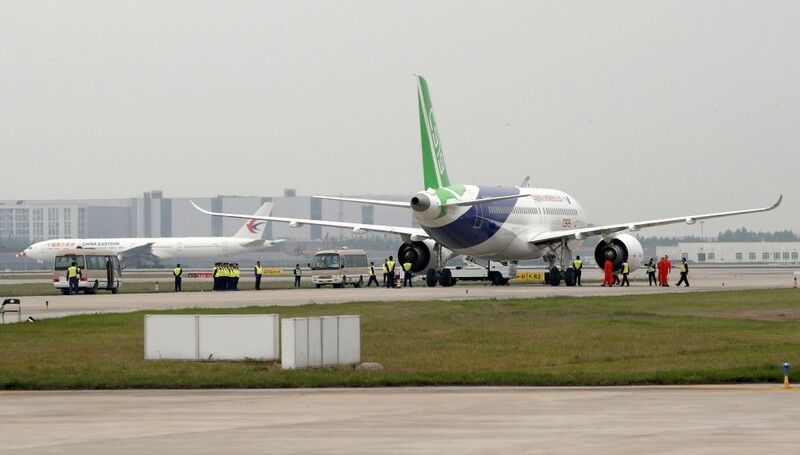 Under overcast skies, the white, green and blue aircraft, with “C919” emblazoned on its tail, touched down at Shanghai’s international airport after an 80-minute flight to cheers from thousands of dignitaries, aviation workers and enthusiasts. 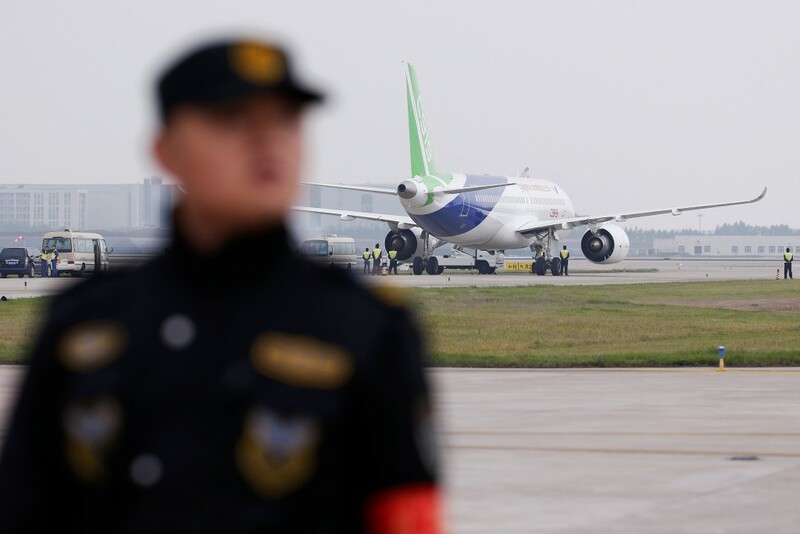 On Friday, the C919 flew north over the Yangtze River delta, carried out manoeuvres and then returned south along the coast before landing, according to aircraft tracker Flightradar24. 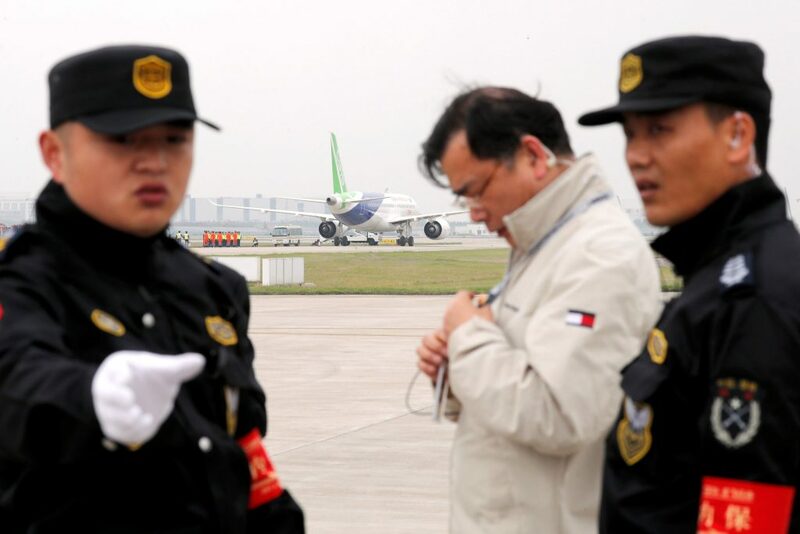 State media said the plane flew at around 3,000 metres and at speeds of 290-300 kilometres (180-186 miles) per hour. 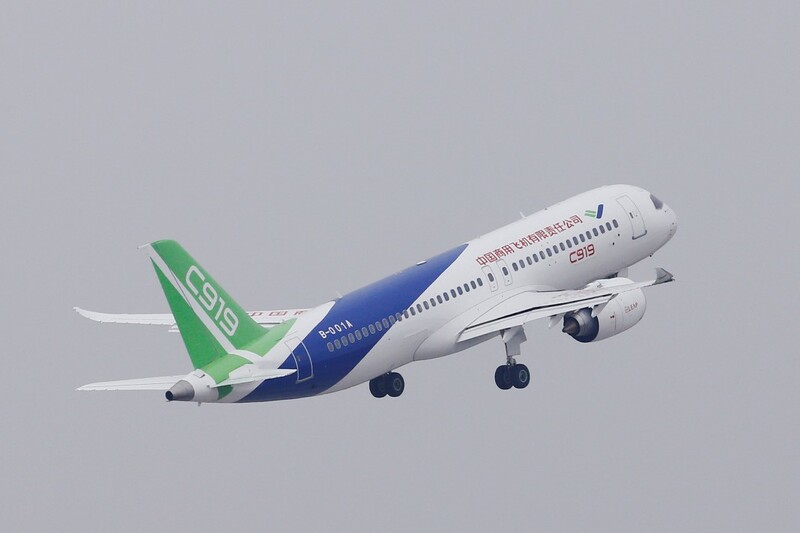 The C919, made by state-owned Commercial Aircraft Corporation of China (COMAC) [CMAFC.UL], relies on overseas technology from firms including General Electric, France’s Safran, Honeywell International Inc and United Technologies Corp subsidiary UTC Aerospace Systems. 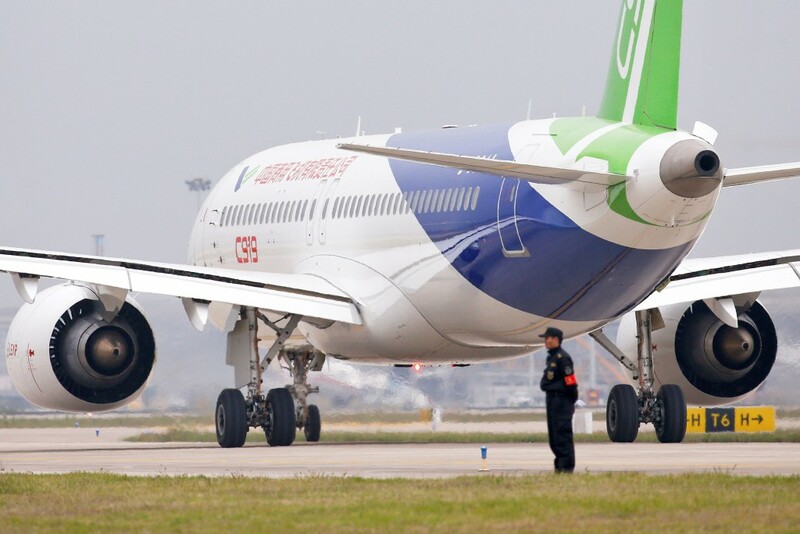 China Eastern Airlines is the launch customer for the plane, which COMAC says has 570 orders from 23 customers. 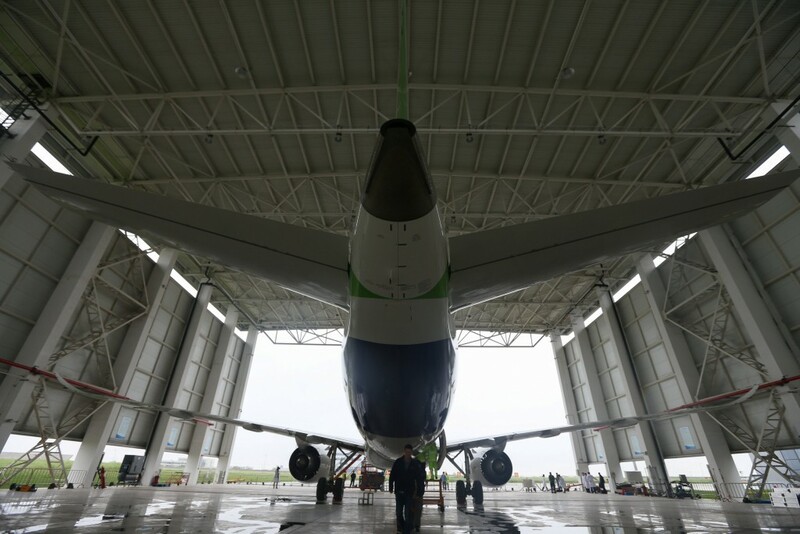 “Every year we spend billions on buying planes,” a COMAC promotional video showed President Xi Jinping saying during a site visit. 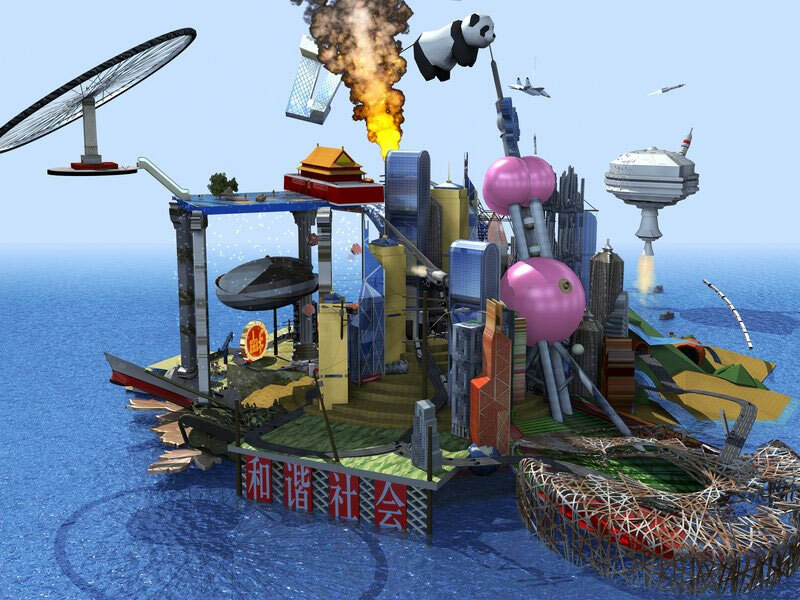 He added China should become more self-reliant. 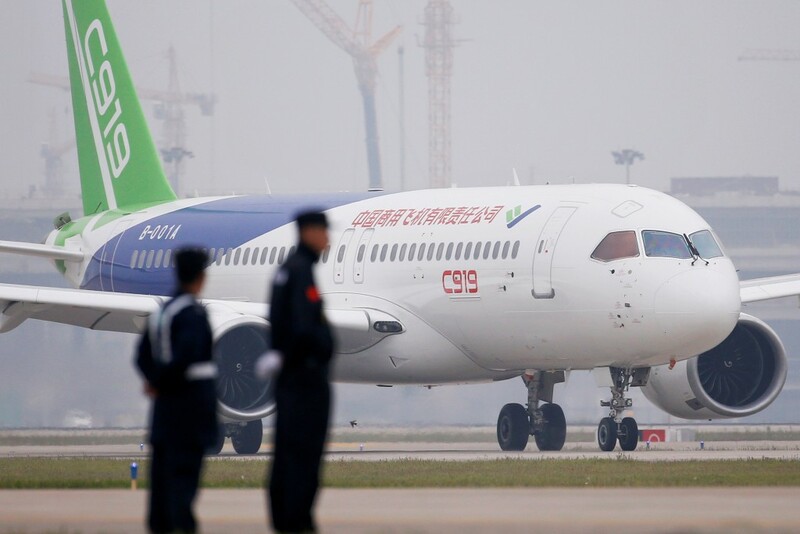 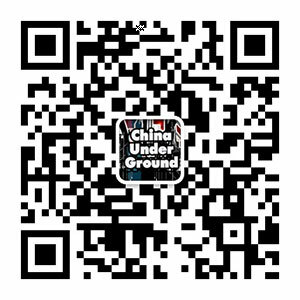 China is aware the path won’t be easy. 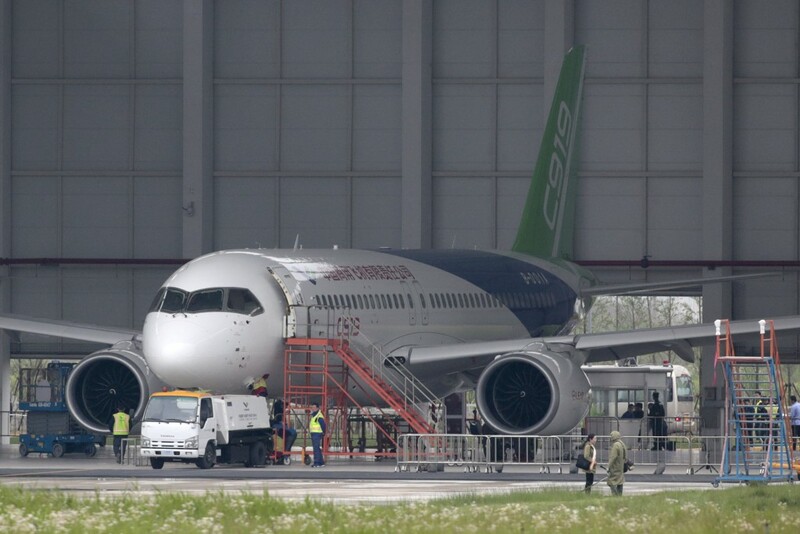 On a media visit on Thursday to COMAC’s C919 assembly plant less than 10 kilometres from the airport, large red banners could be seen in giant hangars calling for long-term “hardship”, “dedication” and “struggle” to meet the firm’s goals.